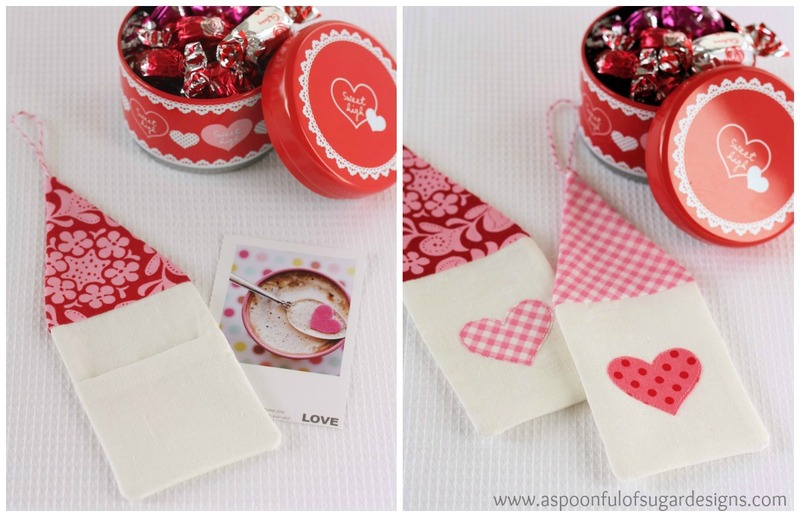 In celebration of Valentines Day, we are joining in with a group of fabulous bloggers for Fourteen Days of Crafting Love. The series is being co-ordinated by the talented Angelina from JoJo & Eloise and is running from Jan 28 – Feb 10. 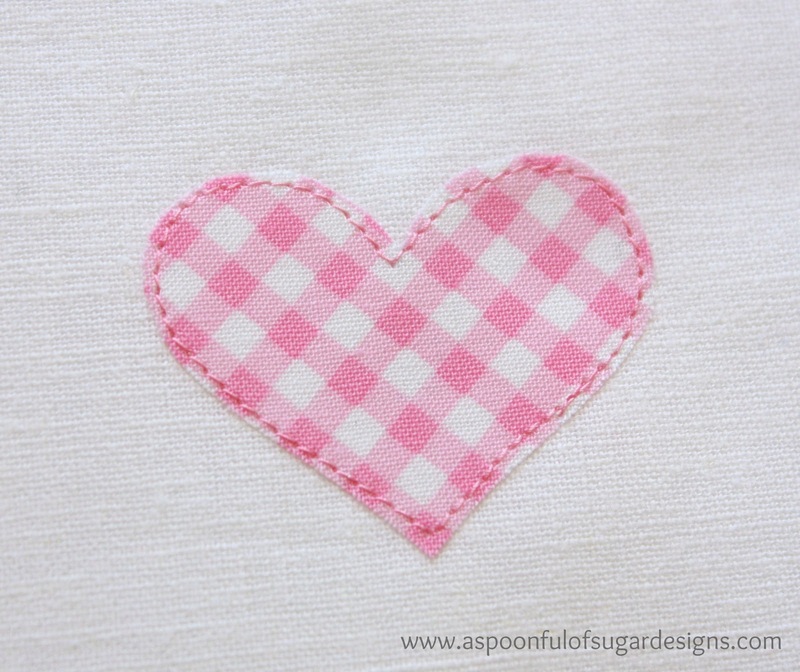 So if you are needing some Valentines craft inspiration, check out the links and schedule at the bottom of this post. Long time readers may remember our Advent Houses that we made a few years ago. We have used the same concept to make some Valentine Heart Houses. They feature a little pocket in the back to hide a note or treat. It would be fun to make a batch of them to string up as a garland. We made them from white linen and small pieces of pink quilting cotton. 1. From the white linen cut 2 rectangles measuring 3 1/2 x 4 1/2 inches for the house front and back. Cut one rectangle measuring 3 1/2 x 3 3/4 inches for the back pocket. 2. Using the roof template provided, cut out a matching pair of triangles from pink print fabric for the roof. 3. 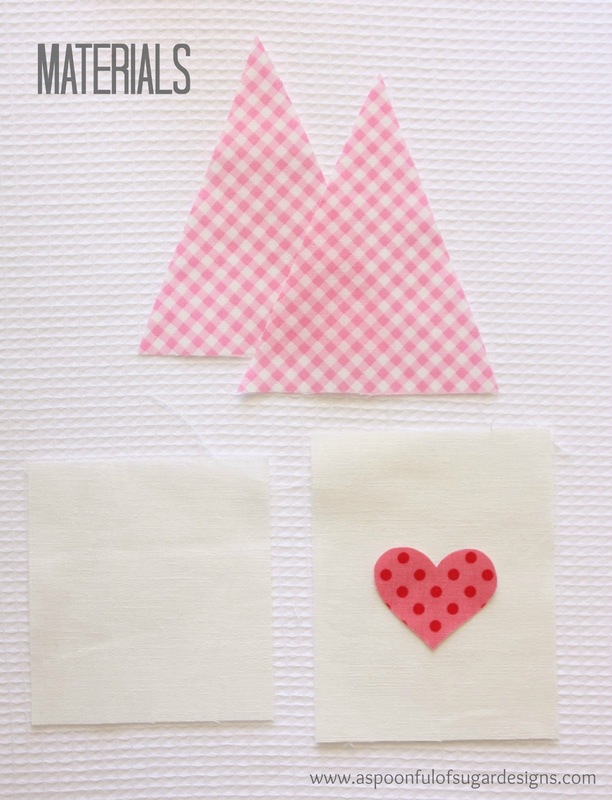 Using the heart template provided, trace the heart onto the back of the appliqué film. Cut around the heart leaving a 1/4 inch clearance. Peel off the paper backing and press the film onto the back of a piece of pink fabric. Cut around the heart shape. Centre the heart on one of the rectangles and press in place. (following manufacturer’s directions). Using raw edge appliqué, stitch around the heart to secure it to the front of the house. 4. On the back pocket, fold down 1/2 inch on one of the 3 1/2 inch sides, and press. Then fold over another 1/2 inch and stitch the fold in place with a scant seam allowance. Press. 5. Line up the bottom of the pocket with the bottom of the linen house back and pin it in place. Using a basting stitch and a scant seam allowance, stitch the pocket to the house back. 6.With right sides together, line up the bottom of one roof piece with the top of the linen house back and stitch together. Press the seam allowance towards the roof fabric. 7. 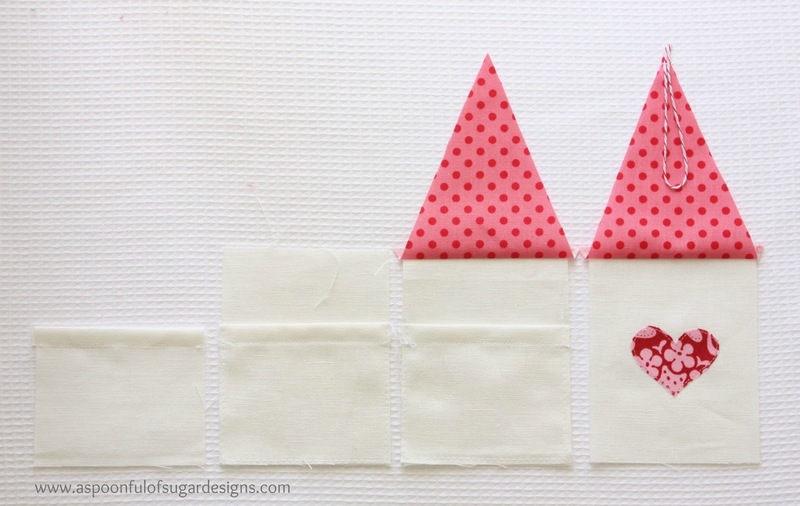 With right sides together, line up the bottom of a roof triangle with the top of a linen front and stitch together. Press the seam allowance toward the roof fabric. 8. Stitch a 6 inch length of ribbon in half lengthwise and pin it to the top of the roof (as shown in photo above) and baste in place. 9. Pin the house front to the house back with the right sides facing. Stitch around the outside of the house using a 1/4 inch seam allowance, leaving a 1 1/2 inch gap in one long side for turning. 10. Clip the corners and turn the house right side out through the gap. Use a point turner to push out the corners. Press. 11. Using a hand stitching needle and a ladder stitch, stitch the opening closed and press the completed house. Fill the back of the house with a special note and/or small treats such as candy or coins. 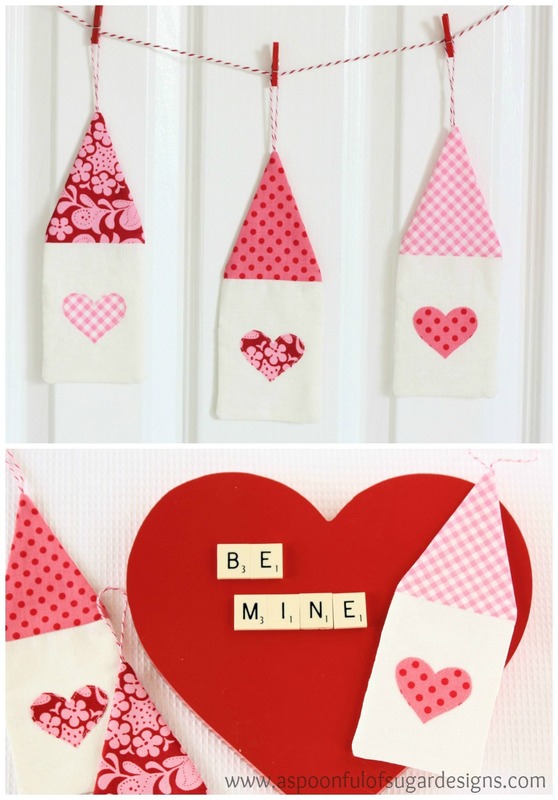 For more Valentines Craft Ideas, check out the inspiring projects on the following blogs. Everyone will be posting a craft on Jan 28, and then again on the date/s listed. 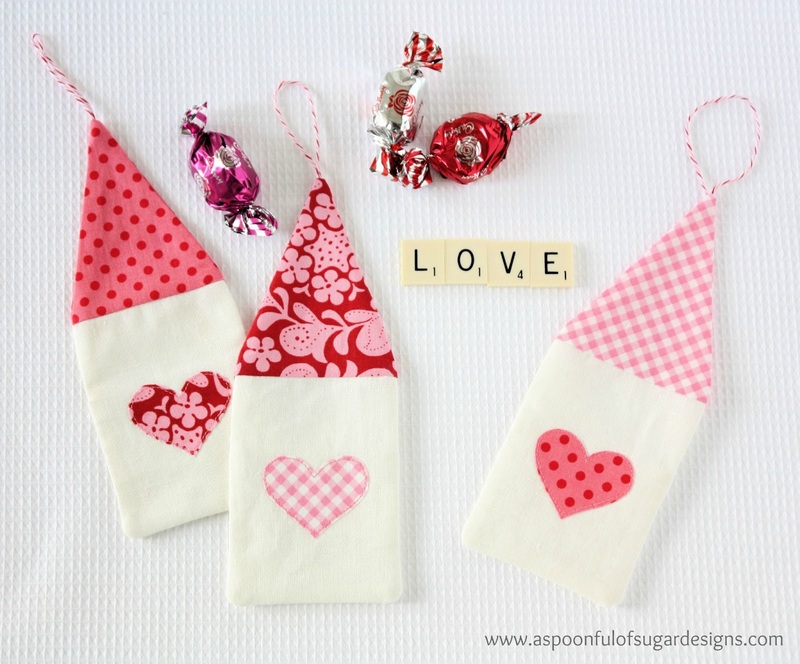 We will have another Valentines Tutorial for you on February 8 so remember to stop back! how totally sweet. Thanks for the inspiration. These heart houses are so lovely! I made several of your advent houses for an ornament exchange, and really loved the pattern. I might have to try this version too for Valentine’s Day decorations. I really love that polka dot rooftop. Such a sweet tutorial! I think, I can probably handle this one without ruing the fabric! I’m loving the garland idea!..love it! Thanks for sharing!! What a cute fun idea! Thanks for sharing the how to. They are so sweet, Lisa! A lovely ideas for Valentines’s, thanks! I am so impressed by all of the projects in the 14 Days of Crafting Love! Your valentine heart houses are wonderful! So happy to be a part of this event with you! Looking forward to your next post on the 8th! Absolutely wonderful! 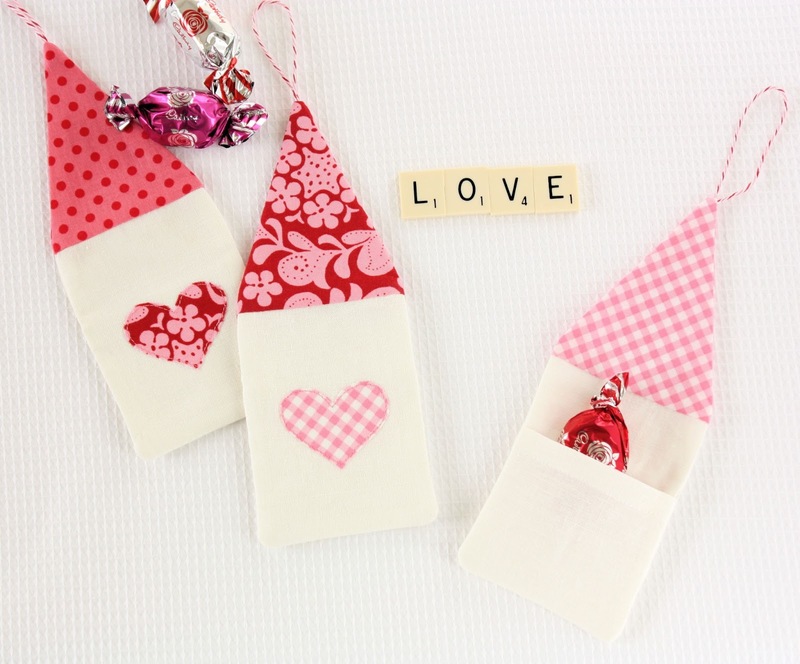 I love the colors and sweet design of your valentine heart houses! So happy to be a party of the 14 Day event with you. Sharing your post on FB today. This is adorable! My daughter would flip over this! and me too! Hi girls!! It’s very nice to know that you are mother and daughter. This is cool. These heart house are so cute, I loved they! Thanks for the tutorial! Hugs! I found you via SewCanShe….OMG!! These are so darn cute!! 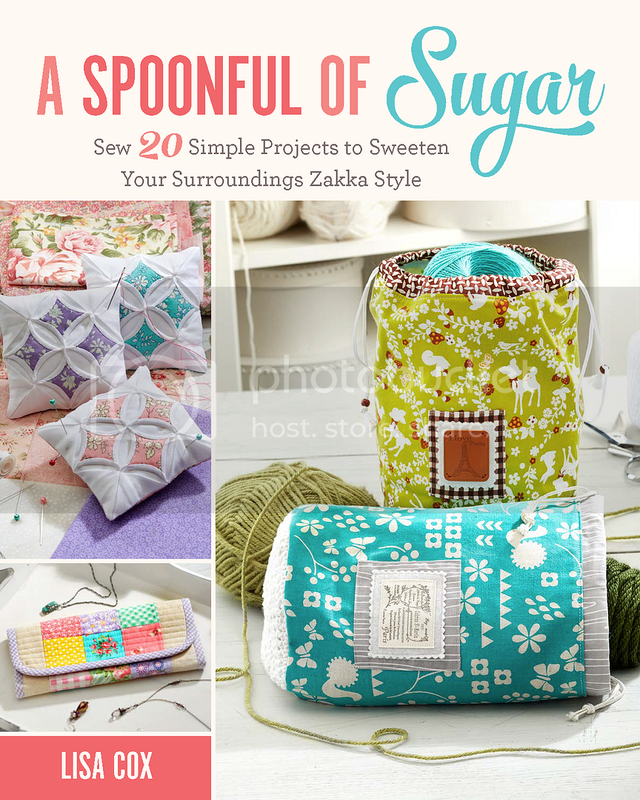 I have pinned them on my Sew Sweet board on Pinterest. I am also needing more sweetness in my life and have started following you via Bloglovin’.